On an average midsummer afternoon of 2017, Susan Davis noticed that a large tick had latched onto her waist. She had been walking her dog, Onyx, in the woods surrounding her Chapel Hill home earlier that day. Davis, an audio journalism consultant, plucked the tick off quickly. Though a “very itchy red mark” remained where she had been bitten, she wasn’t worried. Growing up in the Midwest, she’d had plenty of experience with ticks. When the Human Genome Project — the massive endeavor to map all the genes that make humans human — was completed in 2003, scientists were elated. Finally, they thought, it would be possible to find genes that cause or contribute to devastating diseases like diabetes. And, they thought, it would be relatively simple. 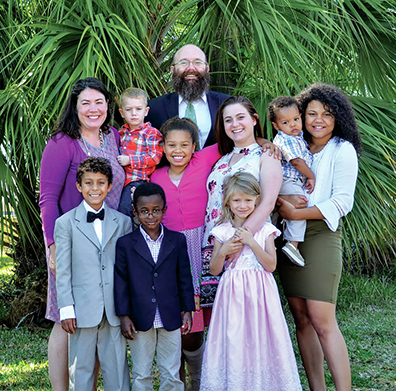 Sherri and Thomas Croom have been foster parents to 27 children — from newborns to teenagers — during the past decade. That has meant visits to dozens of doctors and dentists for issues ranging from a tonsillectomy to depression. While foster parenting has innumerable challenges, health care coverage for the children isn’t one of them. Yet Croom and other foster parents say that even with the coverage, they struggle to meet the extraordinary health needs of their children. Medical residents are just like anyone else. They do laundry, they get married, they have dogs and—to judge by the ratings—quite a few likely sit down to watch “Grey’s Anatomy” on TV. On the surface, the life of a medical resident is not all that glamorous. Still, when the life of a resident is portrayed on TV—as it has on “Grey’s Anatomy” and a number of other dramas across just about every network over the past few decades—the narrative seldom matches the reality. TV is not the place to go to find out what residency is like. Clinical investigators spend their entire careers in the hope that they might participate in one or two trials that actually change medical practice. Many researchers fail to achieve that goal. And for those who succeed, the results of their work are often ignored by colleagues for many years. Mitchell Hardison, 62, was a well-known family doctor in Raleigh, North Carolina. He had what appeared to be a perfect life with a family, success, and patients who respected him. But Hardison ended it all on a fall day in 2015. He drove to a secluded cul-de-sac a few miles from his office and shot himself in the chest. A construction worker found his body the next day. Hardison had a secret: He was depressed and felt he couldn’t seek treatment without jeopardizing his career. This mini-documentary from Newsy delves into the topic of doctor depression and suicide and offers a touching look at the people affected by this issue. The man had come for a third opinion. Other doctors had told him he had amyotrophic lateral sclerosis, or ALS, a neuromuscular disease that causes progressive paralysis, but he didn’t believe them. 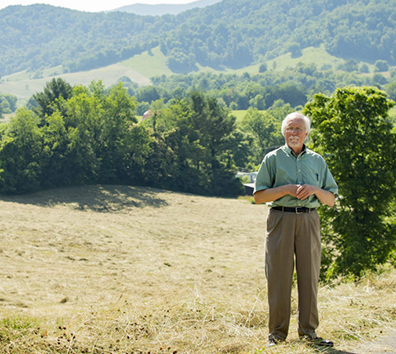 In his hometown of Ewing, Va. — just east of the state’s mountainous meeting point with Kentucky and Tennessee — a handful of his relations had had the same thing, and they knew it as cancer of the throat. They lost the ability to chew, swallow, and speak, they lost weight, and then they died. Calls to U.S. poison control centers about an unapproved antidepressant that has opioid-like effects have climbed dramatically since 2015, according to a new analysis published by the Centers for Disease Control and Prevention. Tianeptine is used as an antidepressant in Europe, Asia, and Latin America. It hasn’t been approved by the Food and Drug Administration. But it’s easy to buy the drug online as a diet supplement or research chemical and is sometimes abused, because it can give users an opioid-like high.